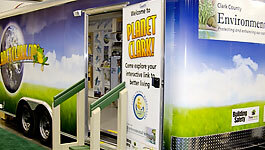 By far the largest and most visible of the tools in Planet Clark’s toolbox is the demonstration trailer. 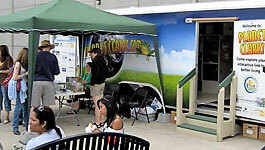 Aboard the trailer with interactive displays and full size equipment is a place to see, touch, and learn about myriad topics. 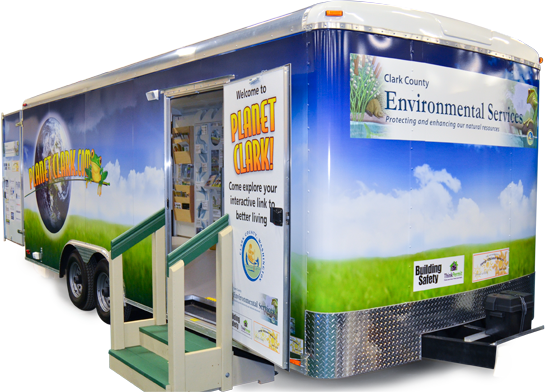 Whether it’s about saving energy, building safety, conserving water and other resources, stormwater management, building or remodeling for healthier homes, or making choices for responsible living, you’ll find it in the trailer. 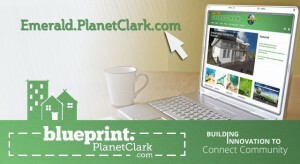 PlanetClark.com was developed as an outreach tool to direct the public to information and resources about energy efficiency, healthy and safe building, and environmental responsibility. 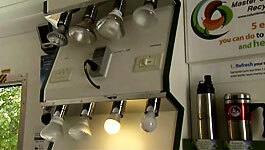 We encourage you to share this site with your community until you develop a website of your own. 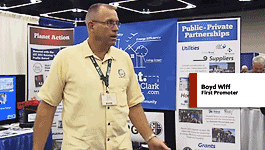 Clark County Washington’s Department of Environmental Services and Planet Clark, a program within the Department of Community Development Building Safety program, partnered with Evergreen Habitat for Humanity and Quail Homes to build an affordable, healthy, safe and sustainable home for a family in need. 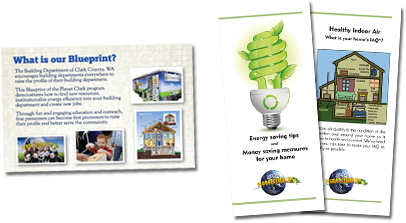 Check out this resource and send the architects, designers, engineers and builders in your community here to learn more. 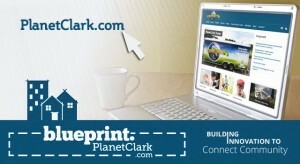 Sign up to receive Planet Clark News, a brief monthly e-newsletter with interesting articles, information on energy efficiency, green building, profiles of Planet Clark partners, and links to resources. 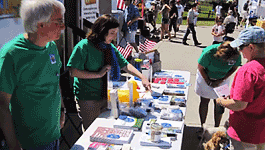 Here are two examples of our useful, educational materials for distribution at public events.